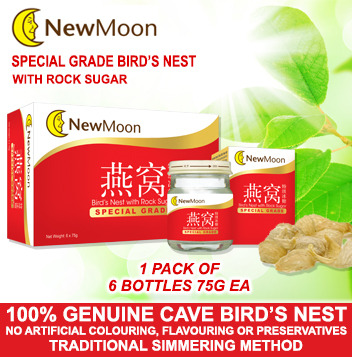 New Moon’s Special Grade Bird’s Nest with Rock Sugar is made from special grade 100% genuine cave bird’s nest. It is prepared using traditional simmering process, giving it a very flavourful taste and fragrant aroma. 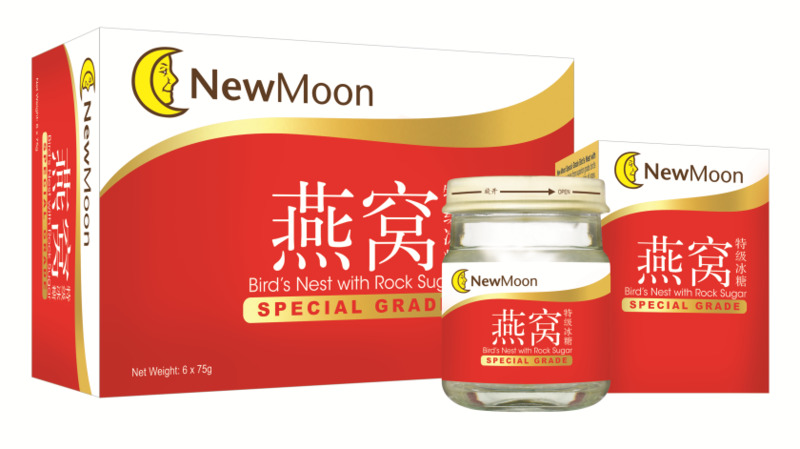 Manufactured under modern technology and strictly controlled conditions, this product conforms to internationally recognized safety standards - HACCP and GMP. It is vacuum sealed to preserve freshness. 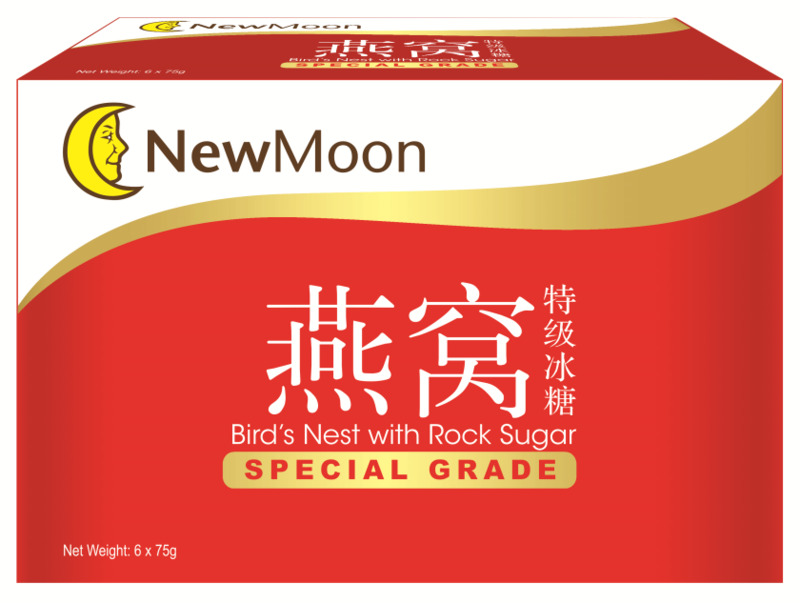 Each bottle of New Moon Special Grade Bird’s Nest with Rock Sugar contains good sources of amino acids which help in skin regeneration thereby preventing premature aging. Regular consumption improves the skin condition, yielding youthful and healthy complexion. 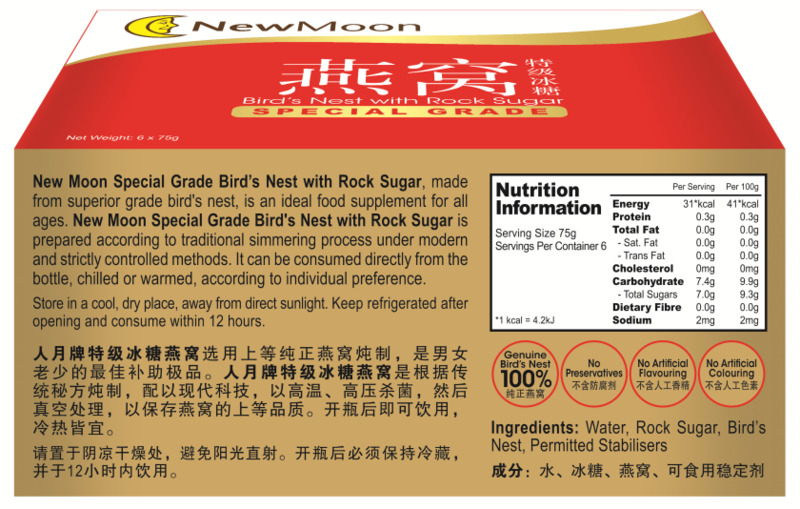 New Moon Special Grade Bird's Nest with Rock Sugar is a natural food supplement, ideal for all ages and lifestyles. It can be consumed directly from the bottle, chilled or warmed, according to individual preference.